Former Politburo Standing Committee member Zhou Yongkang has been officially expelled from the CCP and arrested. In late July, China’s anti-corruption crackdown officially targeted the highest-ranking Chinese Communist Party member ever: Zhou Yongkang, formerly a Politburo Standing Committee member and the head of China’s internal security apparatus. In July, Zhou was formally placed under Party investigation for “serious disciplinary violations.” On Friday, the CCP announced that it has officially expelled Zhou for his crimes and has turned his case over to the legal system for investigation and eventual prosecution. A statement following the December 5 meeting of the Central Committee’s Political Bureau, which reached the decision to expel Zhou, included a partial list of Zhou’s crimes. The statement accused Zhou of having “seriously violated the Party’s political, organizational and confidentiality discipline,” according to Xinhua. In particular, Zhou was accused of accepting “huge bribes” both personally and through his family in return for political favors. He also is accused of setting up his contacts within China’s state-owned enterprise system (presumably within the oil sector, where Zhou was especially influential). In a more salacious detail, the statement claimed that Zhou kept multiple mistresses – not a crime, but a violation of Party discipline as well as a handy way to tarnish what little is left of the former security tsar’s image. Perhaps most interestingly, given Zhou’s former position as the head of China’s domestic security affairs, Zhou also stands accused of having “leaked the Party’s and the country’s secrets.” The investigation found that Zhou had violated the “confidentiality discipline” of the Party, another reference to Zhou’s alleged leaking of state secrets. What secrets Zhou leaked, and to whom, remains a mystery. The official accusations against Zhou are not surprising, but are politically important. Zhou’s fate was effectively sealed once the Party announced its investigation into his affairs, but the process will continue to play out over the next few months as the case moves into the trial stage. That means the CCP will be able to boost the momentum of its overall anti-corruption campaign more or less at will throughout the coming months by releasing well-timed announcements about the most high-ranking official ever to be brought down for corruption. That positive publicity will be especially important as Xi Jinping sets his sights on cleaning up corruption in the military, which has traditionally been mostly off-limits to such investigations. The downfall of a rising political star sends a strong message to other provincial governors in China. 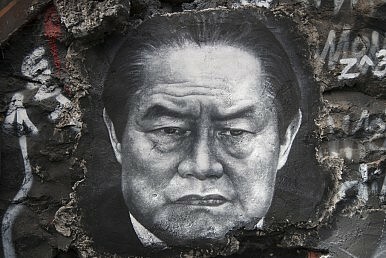 China and FIFA: Parallel Worlds of CorruptionThe Trial of Zhou Yongkang and China's Rule of LawChina's Potential Trial of the Century Over Before It BeginsWill Zhou Yongkang Be Crucified?What State Secrets Did Zhou Yongkang Leak?